SECO/WARWICK is proud to announce that the Polish respected business daily „Rzeczpospolita” has granted the company a prestigious Export Brand title. The title comes in connection with the 15th edition of 2000 List of “Rzeczpospolita” – best companies in Poland in 2015. The candidates competed for one of the three titles: Good Company title, Export Brand title and Export Eagle title. SECO/WARWICK has won the Export Brand title, which honors companies that are in excellent financial condition and show substantial export growth for goods or services. “We are very happy to have received the title of Export Brand since the export is our company’s foundation. Our main export regions are Europe (44%), North America and Asia. To receive this title, a company has to maintain a stable export growth, which was analyzed by the contest committee and is constantly assessed by the company’s shareholders”, says Pawel Wyrzykowski, CEO of SECO/WARWICK Group. “We are very happy to be awarded as this title as it is a reflection of our success on the international markets. 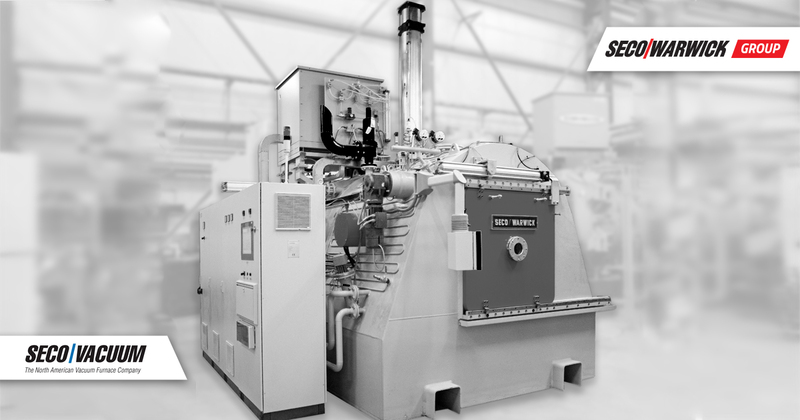 SECO/WARWICK successfully realizes its mission through the ongoing presence on the most vital global metallurgical markets and through the cooperation with the world’s leaders of modern industry branches”, adds Group Marketing Director, Katarzyna Sawka. This year’s edition of Rzeczpospolita’s ranking gala, the List of 2000 Polish business leaders, took place in Warsaw in the Stock Exchange. This year, Warsaw Stock Exchange (WSE) as well as SECO/WARWICK are celebrating their 25th anniversary. Organizing a ceremony in the building of the Warsaw Stock Exchange aims to show that Polish companies enter the stock market and gain success on both local and global market more frequently. 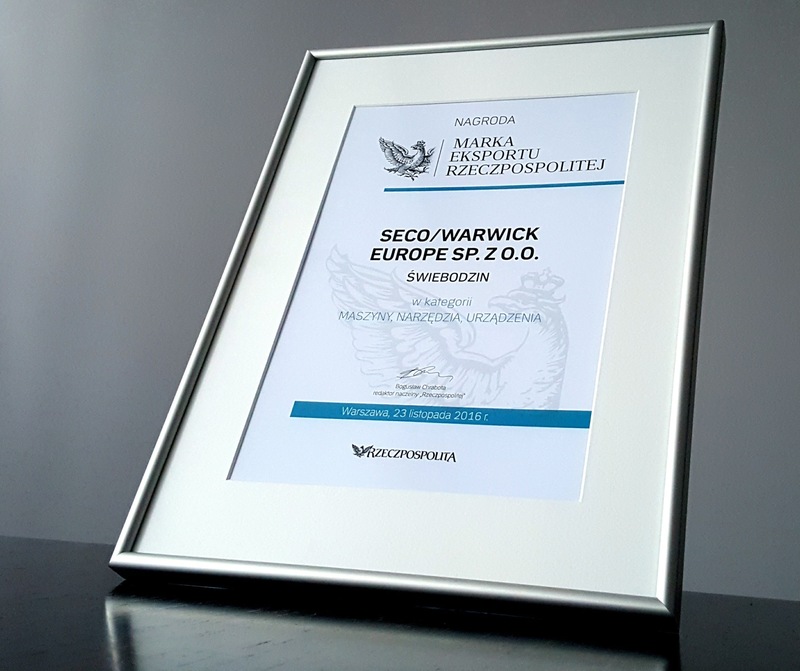 SECO/WARWICK made its debut on the Warsaw Stock Exchange in2007. 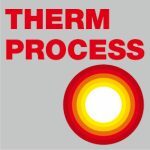 This year, SECO/WARWICK obtained a number of renowned and recognizable in the business world awards and nominations. Last week, the company received Innovation Symbol 2016 that recognizes company’s broad research and development activities. Before that, there was Business Gazelle for the financial transparency and special achievements for the economy, the Trustworthy Company title for the reliability of services and impeccable reputation among clients and business partners, Safety Leader of the Minister of Economy and UDT (Office of Technical Inspection) – confirming investments and focus on security measures and SECO/WARWICK was also among Hidden Champions 2016 of HSBC Bank, which is a title given to companies that successfully develop business internationally. The 2000 List by „Rzeczpospolita” is a highly-respected business ranking examining the largest companies operating in Poland. The analysis is carried out annually on thousands of companies from which two thousand are selected. The assessment criteria include financial data, export data and investments in innovations. The auditors evaluate the detailed financial statements and cash flows. The listing in the ranking for the companies bring reputability as well as confirms their irreproachable financial transparency and management of bookkeeping procedures. Being listedat this ranking is a prestigious achievement for the companies not only because of the publicity, but also because it highlights their impeccable transparency of the financial accounting information and corporate governance.